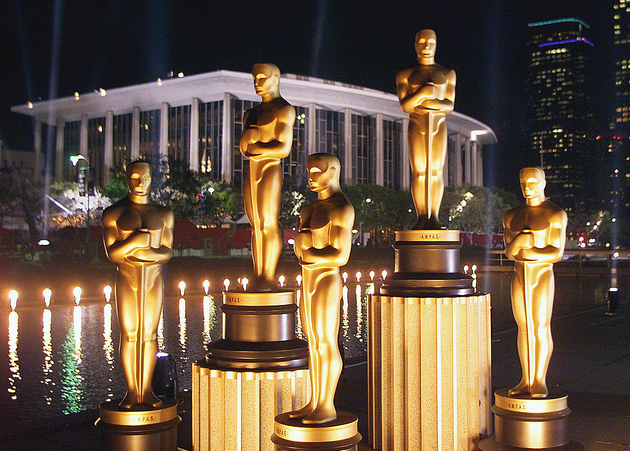 This year’s Oscars have come and gone. Undoubtedly, 2012 was a great year for filmmaking and The Concordian is giving you a tour of all the best picture nominees, as well as the ultimate winner. Life of Pi: Based on the popular book by Canadian author Yann Martel, Life of Pi tells the incredible tale of a boy and his trip across the Atlantic ocean on a raft, with a tiger. When Pi’s family decides to move to Canada, they pack all of their worldly possessions, including their animals, onto a boat and begin the long journey. An enormous storm hits and Pi finds himself floating away on a lifeboat with an orangutan, a zebra, a hyena and a tiger. Cinematically speaking, the movie scores quite a few points: the graphics were absolutely stunning, the scenery moving, and the story extremely compelling. Director Ang Lee, who won the award for best director, captures the true meaning of the book and makes something that could’ve been extremely dull, lively and breathtaking. Pi’s story has a final twist too, one that leaves audiences really pondering the true meaning of Pi’s life-changing adventure. Lincoln: Starring the notorious Daniel Day-Lewis who took home the Oscar for best actor, and directed by the legendary Steven Spielberg, Lincoln tells the story of former American President Abraham Lincoln’s struggle to abolish slavery in the midst of the American Civil War. Despite the star-studded cast, viewers may find it to be a tad boring. This is mostly due to the fact that the movie makes a point of being as realistic as possible, going into every single detail in Lincoln’s fight against Congress and his struggle to get the necessary votes to pass the motion. Despite these few static points when yawns may escape from the audience, it is definitely still a must-see and elegantly captures this unique moment in American history. Spielberg does do one thing that may leave audiences pleasantly surprised throughout the entire film. He makes a point of showing Lincoln’s truly unique, joking and down to earth character in different scenes. Day Lewis made us love the character and hope that he would achieve what his heart so deeply desired: equal rights. In all Lincoln is a great movie that perfectly and accurately captures a chunk of American history. Zero Dark Thirty: Kathryn Bigelow has done it again. Zero Dark Thirty tells the story of the CIA’s plan to capture and kill terrorist leader Osama Bin Laden. There’s only one word to accurately portray this movie: suspense. The last chapter of the film is, by far, the epitome of it as a team of elite American soldiers is sent into the home where Bin Laden is presumed to be hiding. The quiet is deafening, the suspense electrifying and the drama intense. One of the greatest moments in modern cinematic history made this a top contender for best picture. It’s worth noting that the movie received some criticisms when it first hit screens for it’s gruesome torture scenes. Many politicians and journalists alike were quick to deem the movie disgusting and unreal, claiming that this isn’t how it happened. However, despite being quite violent, these scenes were not unwatchable. All in all Zero Dark Thirty is a masterpiece, fully deserving of its nomination for best picture. Beasts of the Southern Wild: Perhaps the least publicized of the best picture nominees this year, yet also the one with the most imaginative timeline. A great example of artistic expression, with an extremely original storyline and surprisingly refreshing acting. It’s no wonder nine-year-old star of the movie, Quvenzhané Wallis, is the youngest person to ever be nominated for best actress. This movie tells the story of a young girl and her father living on an island off the coast of Louisiana called “The Bathtub.” However, due to the melting of the polar ice caps, the island is at the risk of inundation, and many people find themselves fleeing the community. Hushpuppy, played by Wallis, and her father decide to stay. Hushpuppy’s father has trained her to be strong and fearless, however, when her father catches a mysterious illness, her community begins to crumble. Hushpuppy’s toughness is put to the test in this telling tale of courage and love. Les Miserables: Anne Hathaway stole the show and Russell Crowe definitely did not. Wonderful, charming and extremely beautiful, Hathaway, despite the fact that her performance in Les Miserables barely lasted half an hour, gave one of her best performances to date. It all came to an incredible climax when she gave her spot on rendition of I Dreamed A Dream. Crowe on the other hand struggled to master his musical skills, and has been criticized by many, including fellow cast member Sacha Baron Cohen. Surprisingly, the film is entirely a musical. With no exceptions, almost every single line of dialect is sung, not spoken. This was an incredible feat to achieve, although it did make the movie quite long at some points. Despite this minor downside, it is an excellent rendition that definitely gets our thumbs up. Django Unchained: “The name is Django. The D is silent.” Quentin Tarantino has managed to create yet another one of his notoriously memorable movies. The story, written by Tarantino won the award for best original screenplay. This one has all the makings of a Tarantino classic; violence, bloodshed, controversy, a touchy subject and a star studded cast. Django is set in the Western United States, a few years before the Civil War, at a time when equal rights between African-Americans and white people had yet to be established. In the movie, Django is a slave who is bought by a bounty hunter played Christoph Waltz. In exchange for his help, the bounty hunter promises to find Django’s wife. They later find out she is owned by an extremely rich and powerful white man, played by Leonardo Dicaprio. Needless to say, the movie does not lack action and, by all accounts, provides one of the most entertaining endings in recent movie history. Amour: Amour was not only nominated for best foreign film, but also for best picture at this year’s Oscars. Emmanuelle Riva plays an old woman whose health slowly deteriorates before our eyes in this heartbreaking film. Riva perfectly captures the struggle an elder must face as his or her health fails, giving us a gripping view of what old age can become for some people. In this movie, the husband George must care for his wife as she suffers two strokes in a short amount of time. An amazing depiction of how even the strongest of loves are often tested. Amour is a different type of love story, a heartbreaking one, seriously testing what one must to do to make his better half happy. If I had it my way, Amour would have won best picture, but considering the circumstances, I think taking home the Oscar for best foreign film is a great achievement in itself. Silver Linings Playbook: Silver Linings Playbook was a serious contender for the most prestigious oscar. The movie is so realistic, the acting so precise, and the story so unique that they all mesh together to make an amazing picture. Silver Linings Playbook is a romantic comedy that strays from the stereotypical layout most movies follow. The story begins when Bradley Cooper, playing a bipolar history teacher, catches his wife cheating on him with another professor he works with. He snaps and is sentenced to eight months in a psychiatric ward. We see Cooper’s difficult path towards rehabilitation, his crumbling relationship with his wife and parents and his drive to make his life better and get his wife back. Needless to say, his plans don’t pan out exactly as he thought in his quest to find that silver lining he so desperately needs. Jennifer Lawrence also delivers an excellent performance for which she took home the oscar for best actress. Silver Linings Playbook really delves into the struggles of deep mental illness, all the while telling an extremely interesting story. And… the Oscar for best picture goes to… (awkward envelope opening)….. ARGO. Argo: What a story. A masterpiece, some may say, based on the true story of a CIA-based operation in the 1970s to extract six fugitive members of American personnel from an extremely violent and revolutionary Iran. What made Argo such a great film is the fact that it so accurately portrayed the true story, all the while dramatizing it. The crowds, the protests raging and the violence roaring are so accurately portrayed that they create an emotional dimension that’s difficult to find in most dramatic productions of a true story. Ben Affleck, who plays real-life CIA agent Tony Mendez, stars and directs in this film. Most audience members will agree that Argo is a fast-paced and smart movie which is well-worth the watch.